Time Travel...I love it. Romance, I love it even more. Throw it in the young adult genre and I'm sold. When I first read the premise for Tempest I said "Yes, Please!" 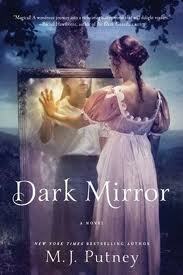 It sounded like it was right up my alley, then I laid my eyes on the gorgeous cover, and that was it. I wanted it! I anxiously awaited it's arrival, constantly peeking inside my mailbox wondering "Is it here yet?" When it finally did arrive, I admired it's cover in person. I flipped through the pages, re-read the premise and then I devoured it. I simply couldn't wait. I put life on hold, and joined Jackson on his time traveling episodes. The Outcome: Loved it. Was it exactly what I expected...not really, but that's not a bad thing. It started off a little slow for me at first, and I had a hard time building a connection with Holly in the beginning, but that changed later on. I did love how the author developed the story. Being a big fan of time travel novels, there are times that if not done a certain way, following the time line can get very confusing, but with Tempest that did not happen. Julie Cross delivered the time travel element delicately, making it very clear to the reader where and when Jackson was. It's been awhile since I've read a book with a male character lead, and I must say it was very refreshing. I could connect and relate to Jackson just as much as I would with a female character. In fact I built a stronger connection with him than I did with Holly. The twists, the turns, the highs and the lows definitely made this read a thrilling one. Tempest had all the qualities that I love in a novel, and a few surprises along the way. Final impression: Packs a lot of punch. A suspenseful page-turner! I really want to read this one. It's on my tbr list. Now after reading your review, I want to read it even more. Thank you for inspiring me! I'm back and forth on this book. I've heard a lot of differing reviews, but it does seem up my alley (I love the time travel aspect!) Your review definitely brings it up a little higher on my TBR list, I love that you say it "packs a lot of punch". Definitely makes me more interested. Thanks! I had trouble keeping track of where we were! 2007, 2009, what year was it? Who knew what about Jackson and the other characters? All I could do was seat back and hope it would all click as it eventually did. 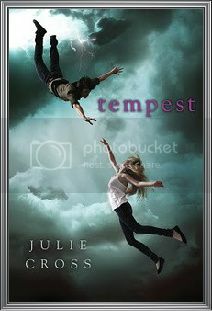 Tempest by Julie Cross Giveaway! Interview with a Blogger: One A Day Y.A.